Posted on June 20, 2017 by Lisa B.
Important—Please read! The location for our June meeting will be different. 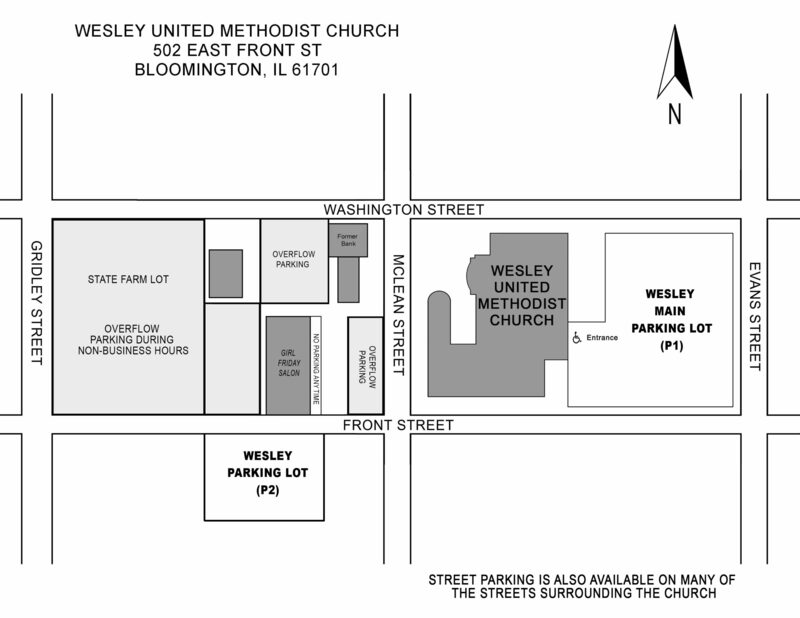 Wesley Methodist Church, 502 E Front Street near downtown Bloomington, will be our meeting spot for June. The parking lot and entrance is on the east side of the church and you can enter from Front Street or Washington Street. This month—June 27—Patty Young, fabric designer for Riley Blake and owner of ModKids, will be speaking on “Quilting Trends from Quilt Market”. She will be vending during social time and during halftime. Social time starts at 5:30 and the meeting will begin at 6 at Wesley. Don’t miss the fun! Here’s what you need to bring! Posted on June 7, 2017 by Lisa B. Members and visitors all had a lot to enjoy at the last meeting! It was a busy, fun and creative one. Before the meeting even started, everyone had a chance to shop at the De-Stash Sale that took up 6 tables! There were lots of books, fabric, notions and UFO’s to buy. All proceeds go to our guild. The meeting started with President Kathy Cook thanking our refreshment volunteers – Paula and Betty- for the delicious treats. She also announced that next month’s (June) meeting will be in a different location due to the church’s vacation Bible school using all the facility. Watch your email and check the blog for important details! !